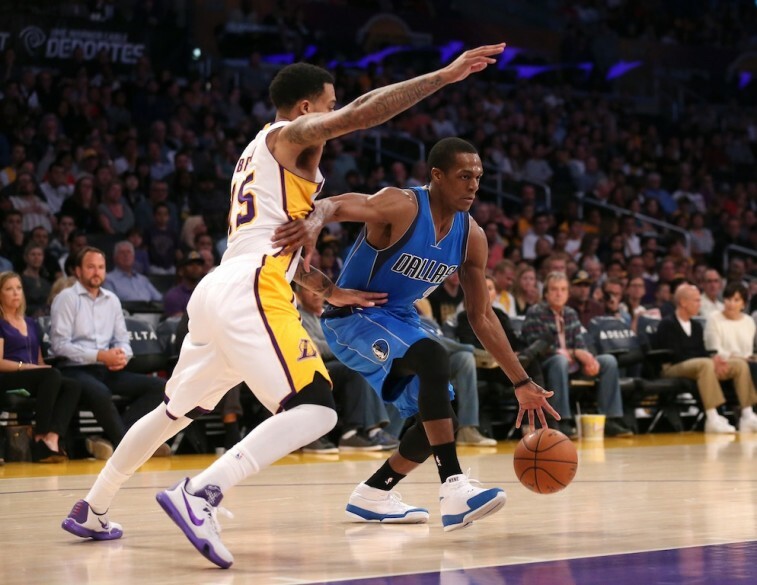 Is Los Angeles the Only Destination for Rajon Rondo? Rajon Rondo did play for the Dallas Mavericks. Of course, recent events might make you think otherwise. Despite suiting up for the Mavs during the 2015 NBA Playoffs, the team opted not to give Rondo a piece of the playoff share: the amount of money that the team is paid for appearing in the postseason. For a team that gets eliminated from the first round of the playoffs, its playoff share is worth $208,940. And while this is more or less the equivalent of a Starbucks gift card for a player making Rondo’s sort of money — $12 million this season; that $200,000 is divided equally between the (what would have been) 15 teammates — the symbolism is clear. 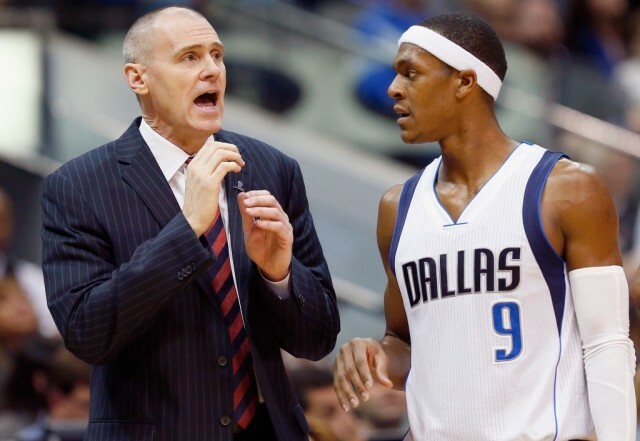 Clearly, the writing had been on the wall for quite some time, and it’s fair to say that Rondo will not be back with the Dallas Mavericks next season. Still, you’d have to assume he’d be one of the more sought-after free agents this summer. After all, he’s a crafty, pass-first point guard who’s won an NBA championship — teams in this league need a guy like that. All signs point to the guard ending up with the Los Angeles Lakers. 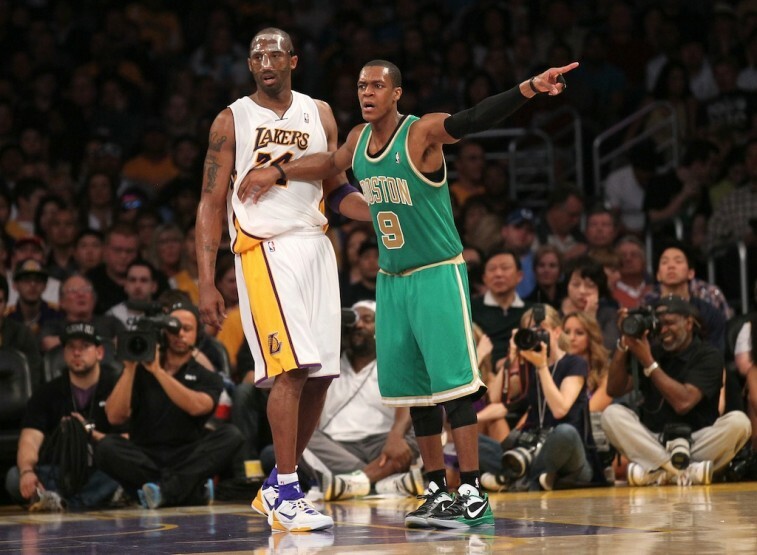 Is it pretty much a certainly that Rondo ends up in Tinseltown? Rondo does have a history of clashing with his coaches. That may be another reason why teams would be reluctant to take a chance on him. He may be talented, but there’s no reason to risk hurting the locker room and mess with established chemistry. Fortunately for the Lakers, this team is need of a serious makeover. They don’t really have an identity, especially now that Kobe Bryant is on his last leg, and the Lakers could use a legitimate floor general. Los Angeles is in the market for some serious talent, it has the money to spend, and Rondo could add some excitement to the Staples Center. It also doesn’t hurt that the guard as a desire to join this franchise. Prior to being traded to the Mavericks, Rondo had already been planning to sign with Los Angeles in the summer. Then, of course, this debacle unfolded in Dallas, and it’ll be curious to see if this team even wants to take a chance on him. However, given the fact that Bryant has adamantly expressed his desire to have Rondo in Los Angeles, the Lakers will probably do what needs to be done to make their aging star happy. And by “what needs to be done,” we mean getting the point guard “only at a certain low price.” Rondo can thank his lackluster play in Dallas for costing him a potential max contract. Other teams certainly feel this way as well. That was definitely something worth pulling the trigger on. In our opinion, that was kind of the one piece that was missing. Certainly, a guy that’s 28 with the accolades and the championship experience and all defense and we’ve had a history of doing well with pass-first point guards. Sometimes when things are written down on paper, they look great; when things are going into the oven they feel great and a lot of times when it comes out sometimes it works and sometimes it doesn’t. It was one of those things that in our estimation certainly wasn’t risk free, but it was certainly worth the risk. If we would’ve had to do it all over again, we would’ve pulled the trigger again. The soon-to-be-former Maverick is a perfect example of a “high risk, high reward” player. His skill set has the ability to transform a team for the better, but his personality could disrupt everything it’s trying to build. It’s clear that after his time in Dallas, Rondo’s stock has never been lower. This may make teams hesitant to bring him into the fold. But we don’t see one of those teams being the Los Angeles Lakers. For the right price, it appears inevitable that Rondo will be sporting purple and gold next season. Perhaps this will finally be the marriage that works out.